"There is tremendous scientific benefit to our nation that comes from collaborations like this one with the Department of Energy, Argonne National Laboratory, industry partners Intel and Cray, and our close association with the University of Chicago," said Argonne National Laboratory Director Paul Kearns. 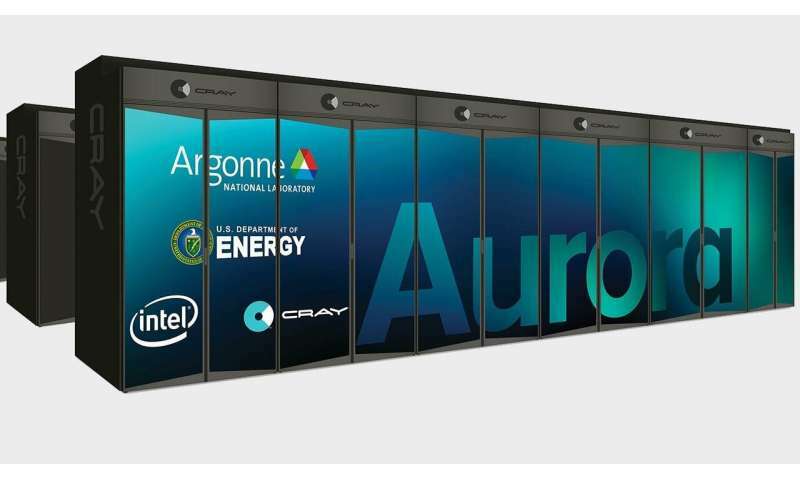 "Argonne's Aurora system is built for next-generation Artificial Intelligence and will accelerate scientific discovery by combining high-performance computing and artificial intelligence to address real world problems, such as improving extreme weather forecasting, accelerating medical treatments, mapping the human brain, developing new materials and further understanding the universe—and that is just the beginning." "Aurora will enable us to explore new frontiers in artificial intelligence and machine learning," said Narayanan "Bobby" Kasthuri, assistant professor of neurobiology at the University of Chicago and researcher at Argonne. "This will be the first time scientists have had a machine powerful enough to match the kind of computations the brain can do." Kasthuri's research seeks to reverse engineer the mammalian brain, using powerful microscopes to photograph billions of cells and connections and supercomputers to reconstruct the brain's intricate wiring. With such a map, scientists could ask questions about how the structure of the brain drives learning, behavior and illness, generating new therapies and insights into the nature of humanity. But a complete map of the estimated million billion connections of the human brain would be no less than the largest dataset in human history, requiring extreme-scale computation to navigate. "With the help of Aurora, I will be able to piece together millions of two-dimensional images, reconstructing the brain in three dimensions to create a map of the human brain," Kasthuri said. "Imagine the game-changing possibilities of a resource where neuroscientists around the U.S., and ultimately around the world, utilize such technologies and infrastructure." "The CANDLE team is excited to unleash Aurora's full capability to help humanity in ways impossible before," said Rick Stevens, associate laboratory director for computing, environment and life sciences at Argonne, professor of computer science at UChicago and principal investigator on CANDLE. "Chemotherapy has been available for about 75 years. However, we have never been able to predict effectively which patients will respond to it. Devising ways of incorporating molecular information and visual information to build more predictive models will help distinguish which tumors which will respond to a given drug and those that won't. With exascale computing, we have a chance to do that, and that will change the lives of millions of people." Supercomputers are especially well suited for helping scientists explore and simulate enormous, data-rich environments—from atomic level processes to the history of the entire universe. Salman Habib, the director of Argonne's Computational Science Division and Senior Member of the Kavli Institute for Cosmological Physics at the University of Chicago, has conducted some of the largest simulations of the universe ever performed on a supercomputer. With Aurora, he will be able to create even more detailed simulations that guide experimentalists towards the best places to find dark matter, dark energy and other mysteries of the universe. 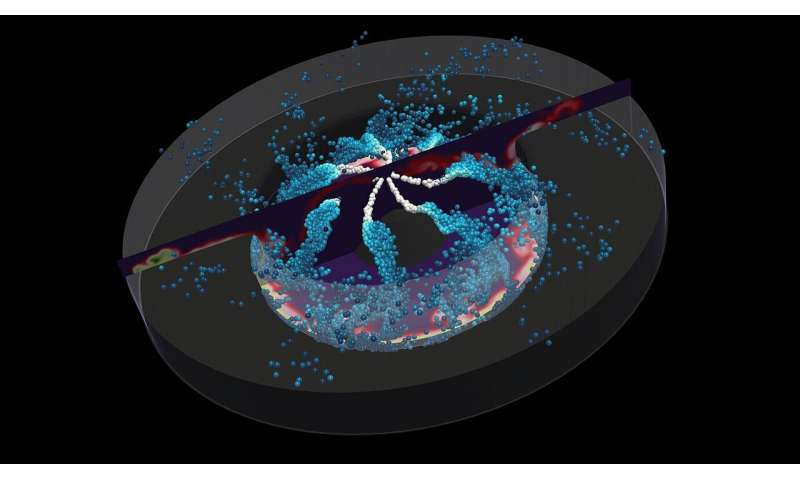 "These include very realistic simulations of structure formation in the universe including gravitational and astrophysical effects—how the very smooth initial conditions in the far past transform into the lumpy matter distributions we see today," Habib said. "Some simulations that took months will be performed in days, and more interestingly, some large and complex simulations that could not be done at all due to memory and performance limitations will become possible." "I see this more as a qualitative breakthrough than just a timing breakthrough," said Giulia Galli, the Liew Family Professor of Electronic Structure and Simulations in the Institute for Molecular Engineering and professor of chemistry at the University of Chicago. "The real breakthrough will come by the calculation of many properties of many materials at the same time—in a way we cannot do today—and that will finally enable design using computational, atomistic techniques." "We chose the name Aurora because it encompasses our aspirational goal to create a system which in some sense can illuminate the world," Stevens said. "This marks a turning point in the history of supercomputing as artificial intelligence becomes integrated into traditional high-performance computing systems at the largest scale known to man."